Dr. Jongmoo Jay Choi is Laura H. Carnell Professor of Finance, and Professor of International Business and Strategy at Temple University. He is the Ph.D. director in International Business and a former Chair of Finance Department. He is a member of Faculty Council of the Center for International Business Education and Research, and University International Advisory Council. He teaches international finance and corporate finance. He is a recipient of the Musser Award for Excellence in Leadership, and has been inducted to the Research Roundtable. He was on the faculty of Columbia Business School, an international economist at Chase Manhattan Bank, and a visiting faculty at International University of Japan, Rikkyo University, KAIST, Yonsei University, Sogang University, University of Sydney, University of Hawaii, UPenn Wharton, and NYU Stern. As an author of numerous articles, books and presentations, he is an internationally renowned scholar in international financial management, global corporate governance and finance, corporate risk and capital markets, and Asian business and multinational firms. He is a founding editor of International Finance Review, and an editor of Journal of Economics and Business, and is/was on editorial board of Journal of International Business Studies, Journal of International Management, and others. He has a BBA from Seoul National University and an MBA and a Ph.D. from New York University. 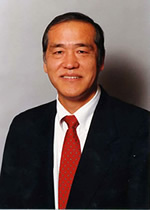 He is a former President of Korea-America Finance Association, an honorary University professor at Chang-An University in Xian, China, and a board member at Philip Jaisohn Memorial Foundation. His biography is listed in Who’s Who in America, Who’s Who in the East, Director of International Biography, and others.